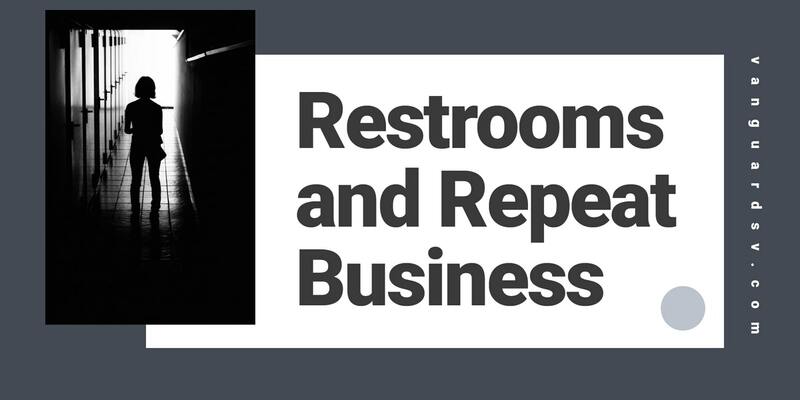 The majority of consumers in the United States had demonstrated a preference for local business establishments with clean, well-maintained restrooms--going so far as to claim they would pay strictly for the use of a clean bathroom. A recent survey conducted by Bradley Corp. has discovered that, more than ever, purveyors of local businesses are willing to pony up extra cash and repeatedly patron an establishment with clean, well-maintained bathrooms, with many going so far as to state they would happily pay just for the use of the facilities. 52% would definitely or probably spend more money at the business. 64% claimed they made a conscious decision to choose a company based on the maintenance and cleanliness of the bathrooms. Women (67%) were more likely than men (61%) to be attracted to a business with clean bathrooms. However, 55% claimed they would not return to an establishment if they had a bad restroom experience. Those statistics are not insubstantial. Another 21% claimed to use a public bathroom six or more times per week. That means that approximately 80% of Americans use a public restroom at least once per week, and more than half of them would never return if the bathroom was dirty or had other issues. A private place to use their cell phone. A getaway from the world. To cough or blow their nose. Compose themselves during or after dealing with mental or emotional trauma. It's easy to see why a clean restroom is so essential. Clogged and unflushed toilets and urinals. Stall doors with broken latches. Either check the facility routinely to ensure cleanliness and functionality, or install IoT monitoring to keep everything flowing smoothly. Physically check to make sure that all the equipment is working correctly, and quickly make any repairs necessary. Sweep the floors and remove any garbage daily, at a minimum. Clean the restroom regularly with a green or certified Safer Choice cleaning product, and don't forget the walls, behind the toilet, soap and paper towel dispensers, faucets and handles, sinks, stall doors and partitions, as well as toilets and urinals. Dust all window fixtures, vents, and horizontal surfaces at least weekly. Use flat microfiber mops, color-coded microfiber towels, and cleaning buckets with two compartments to avoid cross-contamination. Maintaining a public restroom is a dirty and complicated business. On the one hand, maintaining a restroom with a high-performance cleaning and maintenance program can appear expensive, but on the other, not doing so is even more costly and will almost certainly cost your business far more in lost sales than you could ever estimate. Outsourcing your facilities' cleaning, maintenance, and infection control needs is a cost-effective and demonstrably superior approach than employing, training, and continuously replacing in-house cleaning staff, which suffers from a nation-wide turnover rate of 200%, on average. If you like to learn more about the business impact of clean, well-maintained bathrooms, would like more information regarding the advantages of outsourcing your organization's facilities maintenance and cleaning requirements, or would like to schedule a free, no obligation walkthrough, contact us today for a free quote!